Automotive history goes back more than a hundred years, and during that time there were many firms, have been successful or have failed, once again revived and died forever. 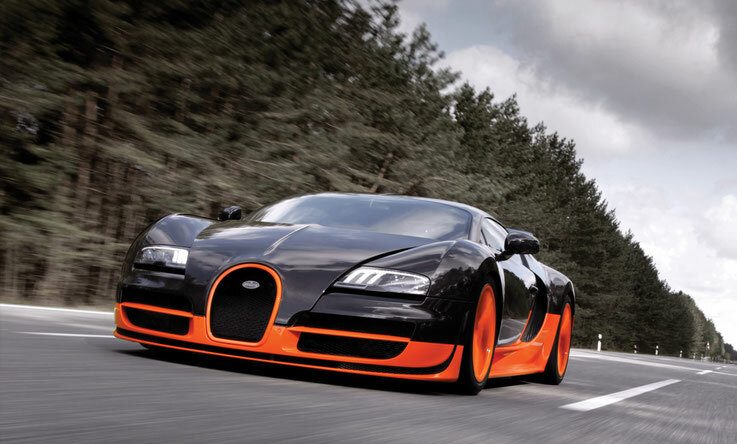 All of this can be attributed to the Bugatti, but with only one difference, it's unbelievable, but the Bugatti alive. 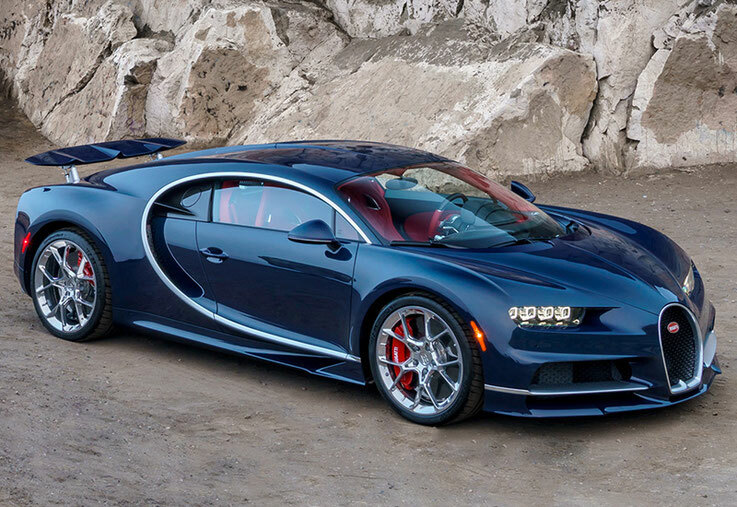 Bugatti incredibly rich in history, and mention all of its pages are very difficult, but at the same time fruitful Bugatti activity in the first half of the 20th century gave way to more than two decades of "clinical death" .. It all began in 1908, a talented engineer, and later a successful industrialist and Ettore Bugatti (Ettore Bugatti) created his first child - Bugatti Type 10. The appearance is very similar to Type 10 Coupe des Voiturettes Isotta Fraschini 1908, which gives cause for remarks what this car inspired Bugatti to create a Type 10. The work on the car of Ettore Bugatti kept in the basement of his home in Cologne. The first car had a 4-cylinder in-line, 8u valve engine volume of 1131 cubic meters. cm. The first "came out lumpy pancake", the car was far from perfect, but the chassis Type 10 recognized the best, and it was used in the following Bugatti models. Bugatti Type 10 allowed Ettore Bugatti found sponsorship, and in 1909 the history of the company Bugatti has begun. Molsheim (Molsheim) - small town a few kilometers west of Strasbourg became the first place where cars with horseshoe radiator began to conquer the world. Bugatti The first lineup consisted of three models: Type 13, Type 15 and Type 17. cars differed only long wheelbase (2000mm / 2400mm / 2550mm). The engine - still the same row "Quartet", but the volume was increased to 1327 cc In 1910, several cars were produced, some of them have not gone unnoticed on the car auto show in Paris. In 1913 Type 15 and Type 17 steel Type 22 and Type 23, respectively. As Ettore Bugatti hard to promote their products to the world of motorsport. In 1914 he was made Type 16 and Type 18, these cars have a body of Type 15 and Type 17, but five liters engine capacity of vehicles gave a distinctive sporty style. All were released about a dozen Type 16 and Type 18. The first Type 18 bought the French aviation hero Roland Garros (Roland Garros). Roland was a close friend of Ettore Bugatti, Ettore's son Roland was named in honor of the great ace. Type 18 raced the Indianapolis 500 in 1914 and 1915, respectively. By this time, Bugatti cars were highly praised, some hundreds of cars were produced, but in 1914 broke the First World War and Ettore Bugatti was forced to sell the license for production of its Peugeot company cars. The First World War could be the end of the Bugatti brand, but after the war, in 1919, Ettore Bugatti organized the production in one of the winning countries. France has become the new home of Bugatti, it is on its territory Bugatti ever glorified his name in the history of the automobile. Bugatti Type 13, Type 22 and Type 23 cars became known as Brescia Bugatti. In 1921, an attempt to create a big luxury car (a kind of prototype of the Type 41 Royale) was made, it was the first Bugatti car with 8-cylinder engine capacity of 3 liters and output of 90 hp. Many innovations demonstrated in this car (Type 28) at the Paris and London auto show. One struck all inventions - hydraulic brakes on all four wheels. Unfortunately the model Type 28 and Type 29 never made more than five copies, so Type 28 exists in two copies, and specially released for racing Type 29 "Cigar" - in four, two of which won prizes in various Grand Prix 1922 of the year. But the most famous model of those years - Type 32 "Tank". Aerodynamic experiment Bugatti was produced in four copies, especially for the Grand Prix on tour. But the car did not meet expectations - the best of the "tank" was third, while Ettore predicted them all the podium. It is worth mentioning and Type 30 (production car based on the prototype Type 28), nothing remarkable no different, he allowed Ettore Bugatti to find funds for other crazy projects. As the years passed, the Bugatti company, though not prospered as the largest automobile company, but was independent and very wealthy. At the same time Ettore Bugatti and could not build a race winning car, were, of course, and "cigars" and "tanks", but nothing special, they did not glorify himself. The turning point came in 1924, at the second stage the European Grand Prix, four Bugatti Type 35 car took place from the first to the fourth, and in the first stage the best of them was on the eighth (as it turned out the cause of the first failure - tires properly dressed!). Within five years of the model under numbers 35, 35a, 35b, 35c and 35t did not give opponents any chance of success. Success accompanied and younger brother - Type 37, with a 4-cylinder engine, and modification - Type 39 (1.5 liter version). Just Type 36 was released, the first Bugatti, the engine is a mechanical injection has been applied in the rest of it was a copy of the Type 35. Type 35 Bugatti has brought glory to the sport, is now selling racing car Bugatti brought the greatest profit. With 1924 336 automobiles were produced by 1930. Total Type 35 Bugatti brought about 1,800 victories, and only after the appearance of the legendary German "silver arrows" car gradually began to take positions. How to Type 35 is known in the motorsports world as Type 41 "La Royale" is known as one of the most ambitious luxury cars. This incredible project was conceived in 1926 and implemented in 1929. 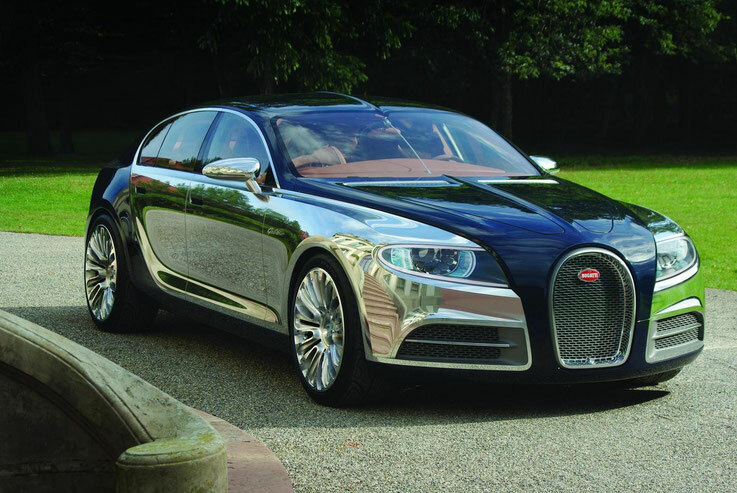 Initially, Ettore Bugatti had intended to release 25 cars, and buyers can become a member of the royal family. In practice, this turned out to be impossible. It was released only six Type 41, all buyers were just rich people, not blue-blooded. While they are sitting in the car can feel masters of the world, interior natural wood and tapestry, a huge frame (only the size of the wheelbase - 4.3 meter) installed engine of nearly 13 liters! He developed astounding at the time the power-260 hp and gearshift was in a single unit with the rear axle, while the weight of the car more than 3 tons. All 25 engines were built in advance, but 19 of them were not destined to work under the hood "La Royale", they were installed on locomotives and moved compositions instead of a luxury super car. The reason for this turn of events - the financial crisis of 1929. Over those purchasing model 1929 - Type 40 c 4-cylinder engine capacity of 1.5 liters, about 800 cars were produced from 1926 to 1930. In the thirties hit Bugatti heyday, the new models come out in just a month. In 1930 starts the production of Type 44, the mass of the car, whose price was affordable for many. In parallel, in the same year the factory comes first Type 46 "Petit Royale" - reduced "La Royale". In 1931, appears Type 43 - road modification Type 35b, and two months after the public are Type 46 with the new engine and the title - Type 50. Type 50 was produced in two versions: Type 50t - tourist option has a longer wheelbase and Type 50s - the sports version, it has a wheelbase 40 cm shorter. Also, Type 50s - had a more powerful engine with a compressor. racing version - just three years, 65 Type 50, and in 1939 was prepared by Type 50b was released. This car with a new engine of 4739 cc and a power of 470 hp was supposed to return the glory of Bugatti racing, Type 50b has been quite successful in some races, but to win, "the German national team" (about 40 best engineers) he was not able to do. It is known that super engine Type 50b was used in the Bugatti aircraft (two per aircraft). In 1931 it began the production of the Bugatti original car - Type 52 "Baby", is a smaller version of the Type 35 Ettore Bugatti built for the youngest son of Roland, he had an electric motor capable to disperse the car to 20 km / h, but more and more rich people wanted to buy a avtomobilchik their children, and in 1931 Type 52 was produced as standard, as well as all the other cars. Interestingly, the Type 52 was recognized in the export of French Customs as a full car, and the duty for it to pay for a car. From 1931 to 1934 produced a powerful racing Type 54 (8-cylinder, 4972 cc, 300 hp), it had become a competitor 12ti cylinder Alfa Romeo and 16-cylinder Maserati. The first appearance of Type 54 were in the Grand Prix of Monza in 1931, despite the problems with the brakes and the tires the car came third. On account of Type 54 more victories, as well as the speed record of those years - more than 210 km / h (at the wheel was a man of Tchaikovsky, perhaps Russian!). 1934 - start of production of Bugatti Type 57. This car embodies the dynamics of sports masterpieces and inaccessibility luxury sedans, to put it simply - a luxury sports coupe or convertible. The Type 57 is available in two very different versions: Type 57 and Type 57s, plus if the car is equipped with a compressor, they are Type 57c and Type 57SC. Type 57s are much lower and shorter, the engine power had about 190 hp (vs. 150 hp in the Type 57) and a top speed of 180 km / h. But the most powerful Type 57 - a "charged" version of the Type 57SC (3257 cc, 200 hp, 200 km / h). The racing version of the Type 57 were lucky almost everywhere. Type 57g "Tank" in 1936 won the first race (French Grand Prix). In Reims "tanks" occupy the entire podium, and at Le Mans win with the best record of average speed - 137 km / h. On account of Type 57g speed record for its class - 218 km / h. But in 1939, Bugatti prepares even more powerful modification - Type 57s45. "Charged" engine on the Type 57SC brought 20 wins this car, the most important among them - Le Mans. It was the last major victory for Bugatti. Tests Type 57s45 claimed the life of Jean Bugatti (Jean Bugatti), with tests after winning the Le Mans Jean off the road to avoid a collision with a cyclist. In addition to the above listed vehicles, 30s Bugatti produced the following models: Type 45/47 - the first 16-cylinder Bugatti; Type 49 - nothing special, looks like a Type 50 with a less powerful engine; Type 51 - another modification of Type 35 Type 50 engine; Type 53 - the first all-wheel drive car Bugatti Type 50 engine c; Type 55 - a roadster based on the Type 51; Type 56 - an electric wheelchair, intended for the transportation of personnel at the company factory (stylized as the first cars); Type 59 - generally recognized one of the most beautiful the Bugatti, he raced Formula 750 (750 - is the weight in kilograms), "a favorite" Ettore Bugatti, but apart from a few wins nothing distinguished; Type 64 (1939) - the last prototype was released before the Second World War, he had the doors open up, only one car was built. Certainly during the Second World War production was curtailed and the next car appeared only in 1945. In 1998, the Bugatti brand under his wing took the Volkswagen Group. VW head Ferdinand Piech (Ferdinand Piech) is known as a very determined man. It was decided that the legendary cars can only be produced in Molsheim in Alsace, in the place where he began to be born the brand Bugatti. The Orangery and the old factory gate were left in the form in which they were created / I saw himself Ettore Bugatti. It is in Molskhayme Ettore celebrated the victory of their cars in the races, and it was here that he received worldwide fame, has become a living legend. It is in this small town temporarily ceased to exist the famous automobile brand, and only in 2005 that revived the tradition of ingenious engineering solutions and aesthetic standards inherent TIME Ettore. In 1998, the Volkswagen presented its first Bugatti prototype at the Paris Motor Show - Bugatti EB 118, a two-door coupe body design with the HP 555, designed by Italdesign. This was followed by another model - Bugatti EB218, a four-door limousine, first shown at the Geneva Motor Show in 1999. At the International Motor Show in Frankfurt in the autumn of the same year, the Volkswagen introduced the Bugatti 18.3 Chiron, named in honor of Bugatti greatest racer in the interwar period. Bugatti Veyron Concept Car was first shown at the Tokyo Motor Show. Both cars, Chiron and the Veyron, developed design team led by Hartmut Warkuss. In 2001, Volkswagen decided to start mass production of super-Veyron sports car with the official name of "Veyron 16.4". In autumn 2004, after the reconstruction of the Bugatti headquarters in Chateau Saint Jean and built a workshop for assembling cars, Bugatti S.A.S. He began manufacturing the first Veyron. Each year produces about 80 cars, most of them find their owners in Molskhaym, immediately after their release.